RIVIERA BEACH, Fla., - Riding on the momentum a dominating Petit Le Mans victory at the conclusion of the 2017 race season, Tequila Patrón ESM has promptly secured Nicolas Lapierre and Olivier Pla as their additional drivers in the Tequila Patrón North American Endurance Cup (NAEC), the four-endurance championship within the full season IMSA WeatherTech SportsCar Championship. BRASELTON, Ga., - The IMSA WeatherTech SportsCar Championship held its 2017 finale event Saturday at Road Atlanta, and Tequila Patrón ESM dominated the ten hour endurance event to take the win with the No. 2 Nissan Onroak DPi of Scott Sharp, Ryan Dalziel, and Brendon Hartley. The race winning car led 140 of 402 laps, and combined with the 152 laps led by the No. 22 Nissan Onroak DPi of Johannes van Overbeek, Pipo Derani, and Bruno Senna, Tequila Patrón ESM led 73 percent of the 20th Motul Petit Le Mans. BRASELTON, Ga., - The 2017 IMSA WeatherTech SportsCar Championship comes to an end this weekend at Road Atlanta for the 20th anniversary of Motul Petit Le Mans. 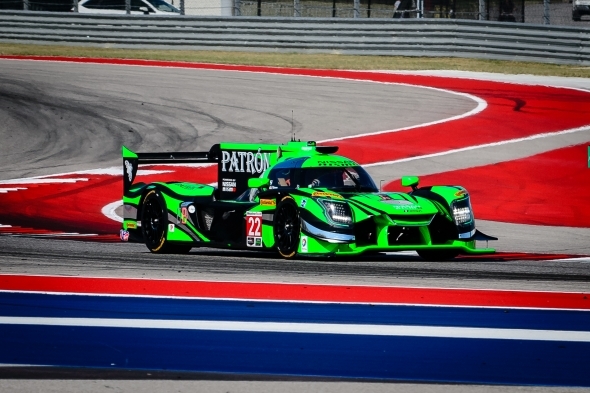 Tequila Patrón ESM returns to the endurance event with an all-star lineup, adding Brendon Hartley and Bruno Senna joining the full time lineups of Scott Sharp and Bryan Dalziel, and Johannes van Overbeek and Pipo Derani, respectively. 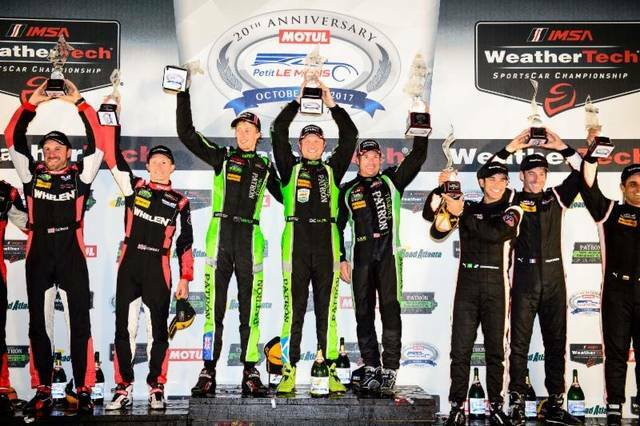 ORLANDO, Fla., - The 2017 race season has been a busy one for sports car driver Ryan Dalziel. While racing in both the Pirelli World Challenge and IMSA WeatherTech Sports Car Championship, the Scotsman has also been building the framework for his newly launched business: Race CarCoaches. 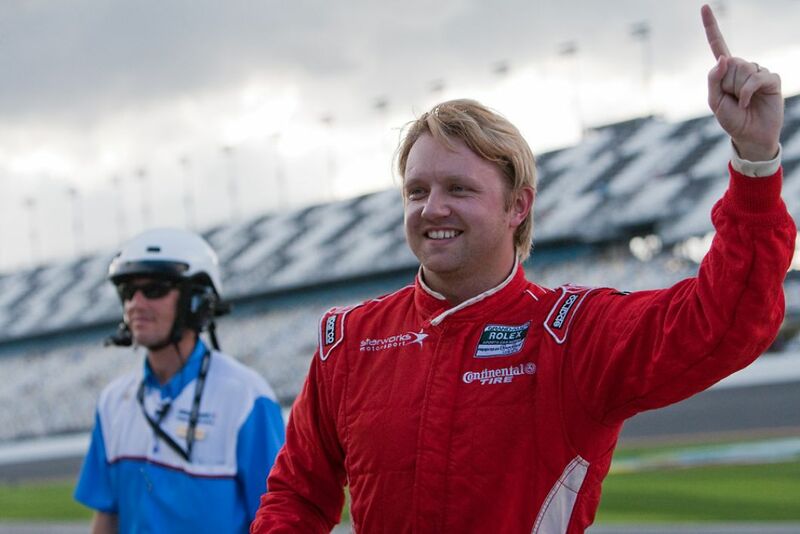 Like many professional drivers, Dalziel spends the majority of his off season and spare time throughout the race season as a coach for hire at amateur race events or club days hosted at tracks around North America. 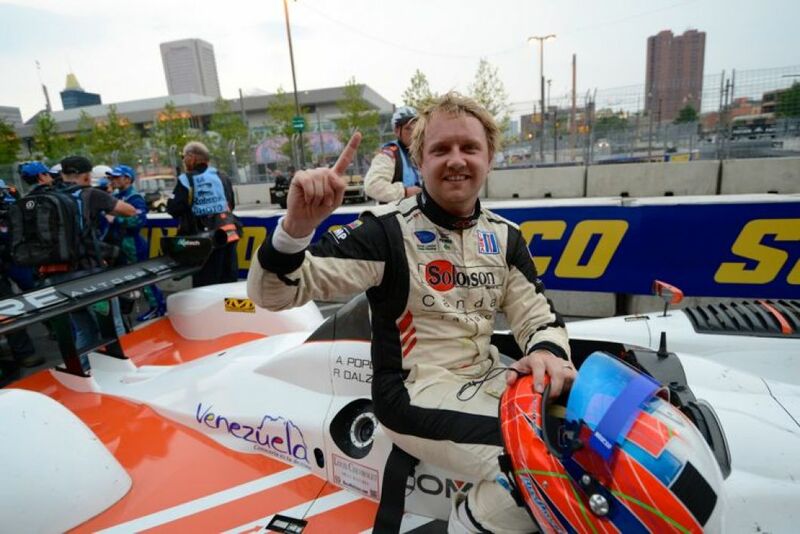 With Dalziel's busy race schedule, it was not uncommon for him to turn down a coaching opportunity and recommend an alternative coach to his client instead. When an old client reached out looking for someone local, Dalziel found it difficult to pull from his limited network of coaches, and RaceCarCoaches.com was born. 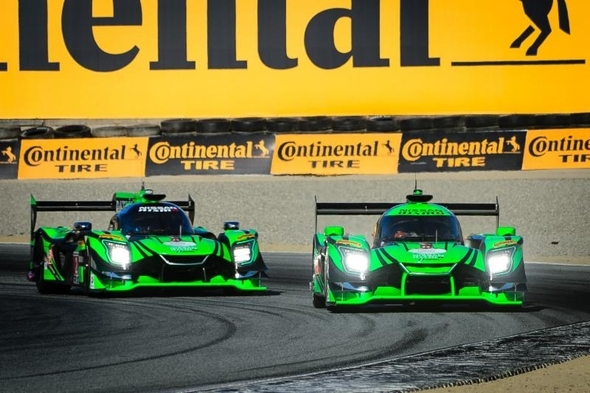 MONTEREY, Cal., - The America's 250 proved to be a challenging race event for Tequila Patrón ESM at Mazda Raceway Laguna Seca. Despite showing strong improvement and quick speeds during the three practice sessions, the pair of Nissan OnRoak DPis struggled in qualifying and the race, earning a sixth and an eighth place finish. 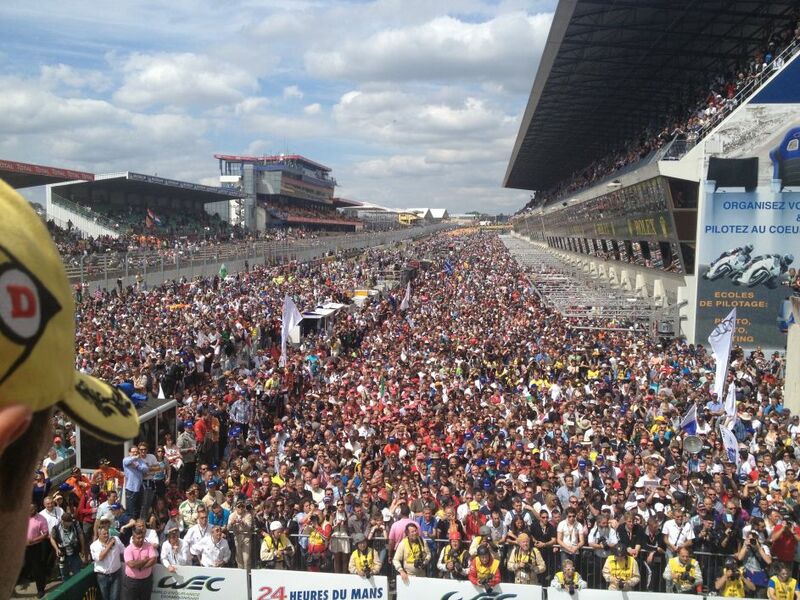 During the three practice sessions, the drivers and engineers of the No. 2 and No. 22 Nissan Onroak DPis pursued the optimal balance for the cars, getting closer to the ideal settings with each session. In qualifying, warmer temperatures changed the overall balance of the cars and tires, resulting in Scott Sharp and Johannes van Overbeek qualifying in sixth and seventh respectively. 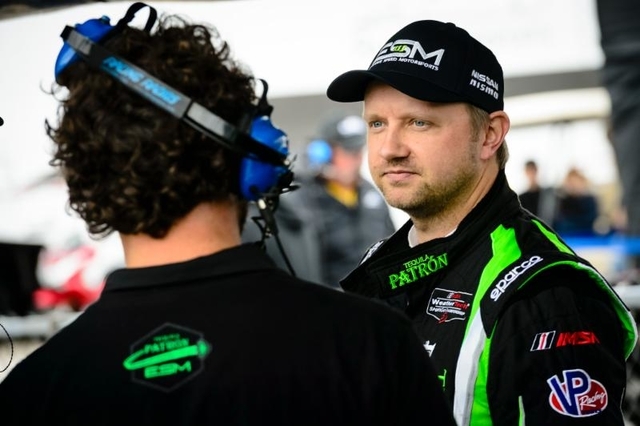 RIVIERA BEACH, Fla., - In anticipation of the campaign for the 2018 IMSA WeatherTech SportsCar Championship, Tequila Patrón ESM has signed Ryan Dalziel as one of two full season pilots of the No. 2 Nissan Onroak DPi. Extreme Speed Motorsports Team Owner Scott Sharp will complete the driver lineup. "Tequila Patrón ESM is beyond excited to welcome Ryan back in 2018 for his 5th year with the team," said Sharp. "We picked Ryan because we felt we was one of the fastest guys out there, and that hasn't changed. He's a great teammate, super hungry to win, and seldom makes mistakes. He's the complete package! As we continue to fine tune our Nissan Onroak DPi, our combination should be very exciting!" ELKHART LAKE, Wis., (August 6, 2017) -- Tequila Patrón ESM celebrated a breakthrough performance Sunday afternoon at Road America, earning the first Nissan DPi win of the 2017 season, while also netting a third place finish. The No. 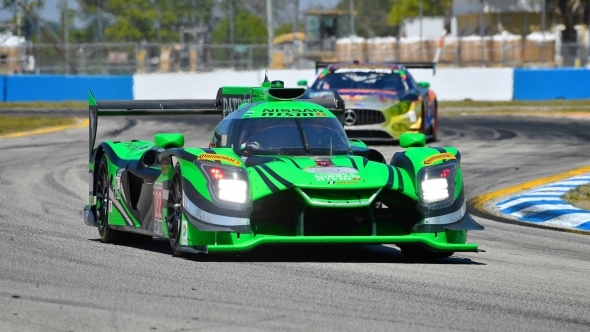 22 Nissan Onroak DPi clinched the win, the team's seventh under the IMSA sanctioning body. The No. 2 Nissan Onroak DPi produced a well fought third place finish at the IMSA WeatherTech Sports Car Championship's Road Race Showcase. In recent weeks, the focus of the new development program focused on reliability, already showing competitive speeds all season long. In the Road Race Showcase race weekend, Road America weather threw its own curve balls, offering varying conditions for every session leading up to the race. 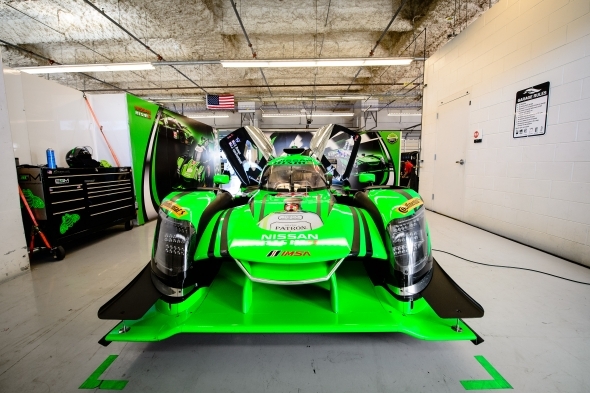 The lack of continuity in conditions minimized the team's ability to do extended testing with the same set up, but the engineers and crew at Tequila Patrón ESM worked diligently to produce a strong package for both Nissan Onroak DPis. 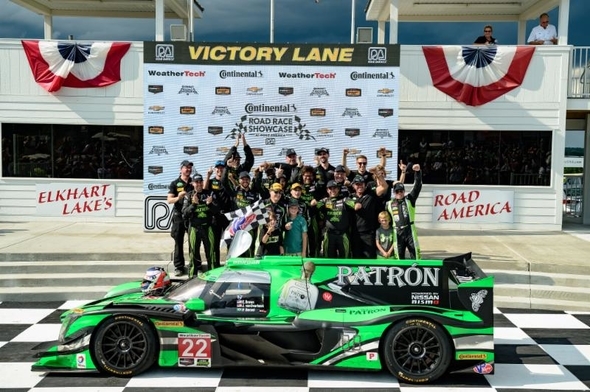 ELKHART LAKE, Wis., -- Four weeks after a podium finish at Canadian Tire Motorsports Park, Tequila Patrón ESM will return to the track for the next stop in the IMSA WeatherTech SportsCar Championship. 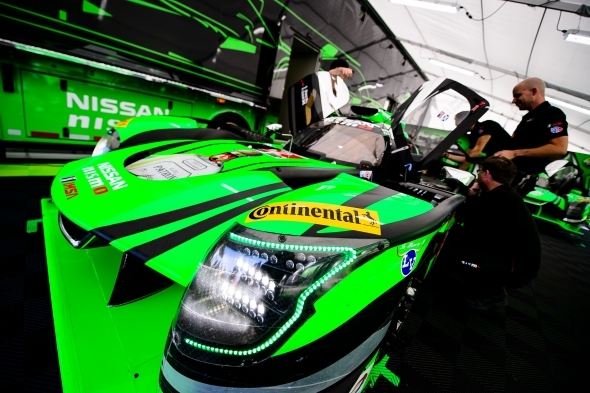 The Continental Tire Road Race Showcase at Road America will offer the pair of Tequila Patrón ESM's Nissan Onroak DPis the opportunity to again produce two strong finishes for the developmental program. While both cars ran competitively at Canadian Tire Motorsport Park, gremlins hampered a strong podium run for Johannes van Overbeek and Pipo Derani in the No. 22 Nissan Onroak DPi, but the No. 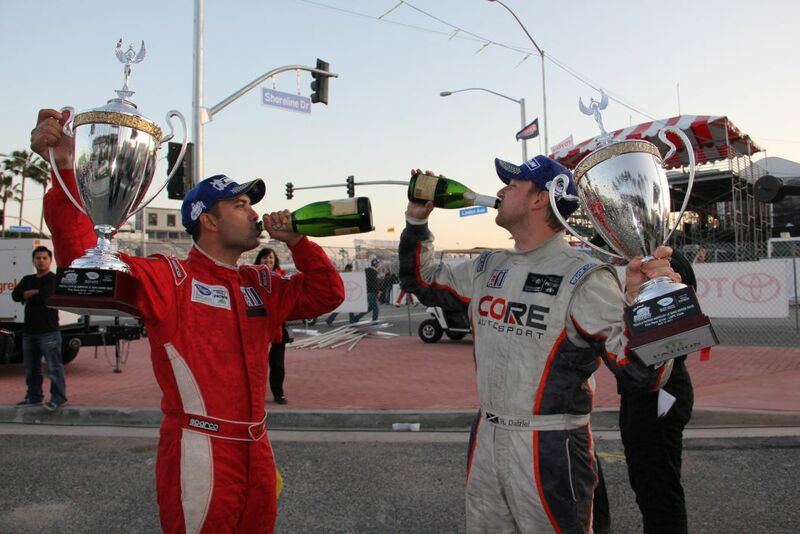 2 with Scott Sharp and Ryan Dalziel continued on to earn a third place finish. 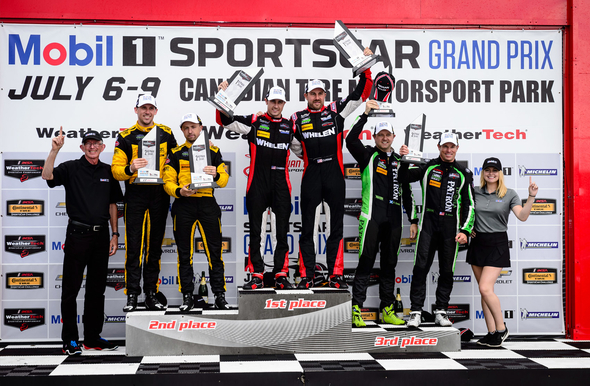 BOWMANVILLE, Ont., Sunday afternoon at Canadian Tire Motorsport Park, Ryan Dalziel and Scott Sharp earned their second podium finish in the 2017 IMSA WeatherTech SportsCar Challenge season. The No. 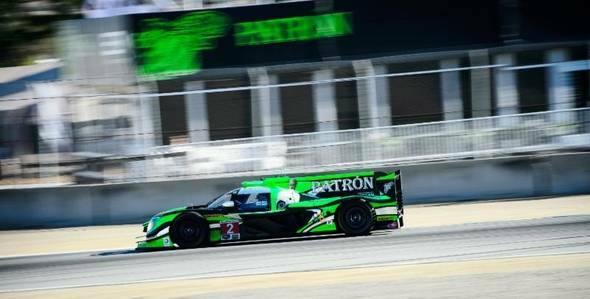 2 Tequila Patrón ESM Nissan Onroak DPi started third and finished third in the two hour, forty minute Mobil 1 SportsCar Grand Prix. The team’s pair of Nissan Onroak DPis qualified well to start third and fourth. 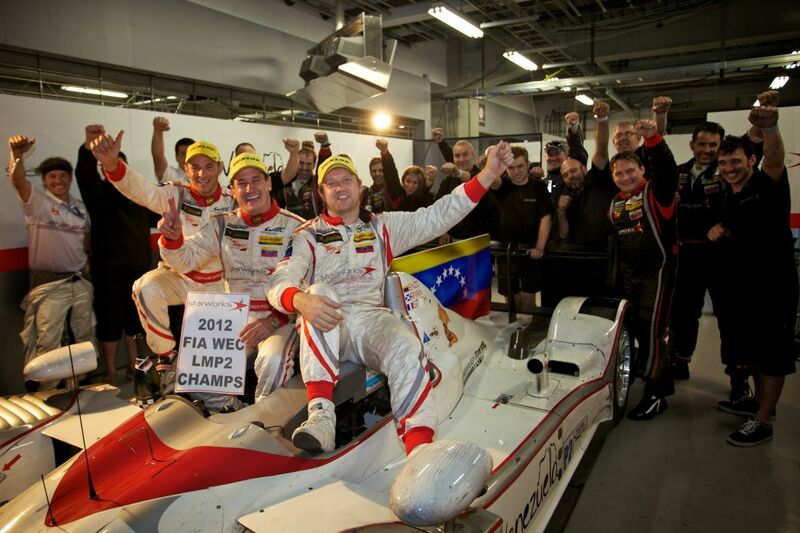 Scott Sharp and Ryan Dalziel led the team charge, with Johannes van Overbeek and Pipo Derani one position behind in the No. 22 Nissan Onroak DPi. Sharp kept position while van Overbeek slipped to fifth. Both cars slowed consistent pace, maintaining position as the field spread out and the prototypes began to lap the GT cars. 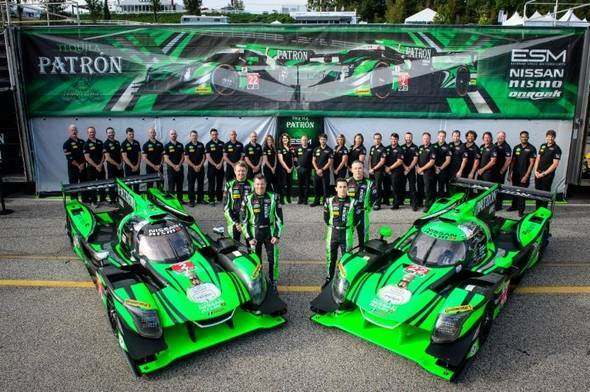 BOWMANVILLE, Ont., — After a disappointing end to a strong weekend at the Sahlen’s Six Hours of the Glen, Tequila Patrón ESM will be offered a chance at redemption this weekend at Canadian Tire Motorsport Park. Just days after both cars retired early from the six hour endurance event, the team has arrived at the next stop on the IMSA WeatherTech SportsCar Championship calendar. 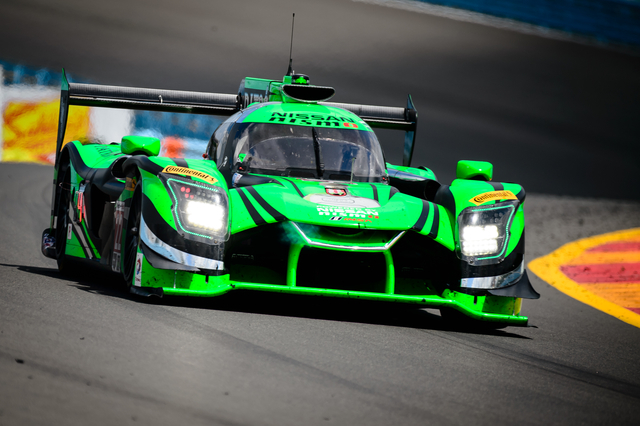 The development of the new Nissan Onroak DPi program showed impressive improvements at Watkins Glen, as the team earned their first pole position of the year and followed up the qualifying performance with both cars leading several stints during the event. The newfound speed and performance in the pair of cars will carry over to Canadian Tire Motorsport Park, where the team earned a podium finish in 2013 with Scott Sharp and Guy Cosmo. 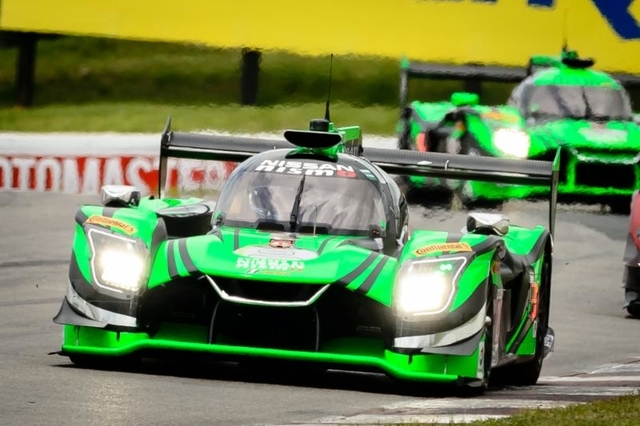 WATKINS GLEN, NY., -- The Sahlen's Six Hours of the Glen started out promising this weekend for the Tequila Patrón ESM squad, but attrition took both Nissan Onroak DPis out of the endurance race before the checker flag. Both cars arrived at Watkins Glen International and immediately showed strong speeds. Brazilian Pipo Derani qualified on pole position in the No. 2, earning the team's second pole at the Glen in two years. Last year's pole sitter Johannes van Overbeek set a position to start fifth. Derani led the field to green and pulled away from Olivier Pla and the rest of the field to create a two second gap in the first ten minutes. Van Overbeek and the No. 22 lost a position on the start to run sixth, but stayed close to the No. 85 car and made a daring pass on the outside to take the position back in the first ten minutes. On lap 14, Pla took the lead and Derani stayed close, biding his time with five and a half hours left in the race. Strong pit strategy by the team during the first round of stops brought Derani back to the lead, and kept van Overbeek in fifth position. Derani pulled away from the field to hold a 17 second lead over Christian Fittipaldi at the one hour mark. In the No. 22, van Overbeek gained ground with every lap, running in fourth and quickly reeling in third. He pitted in 75 minutes running, and passed the wheel on to his only co-driver of the weekend, Bruno Senna. Derani pitted the No. 2 from the lead and gave the car to Scott Sharp, who rejoined with an 11 second lead. WATKINS GLEN, NY., -- Saturday afternoon at Watkins Glen International Raceway, Pipo Derani dominated the IMSA WeatherTech SportsCar Championship qualifying session to pole position for Sunday's Sahlen's Six Hours of the Glen. The Brazilian piloted the No. 2 Nissan Onroak DPi to the top of the timing charts to earn Nissan's first DPi pole. 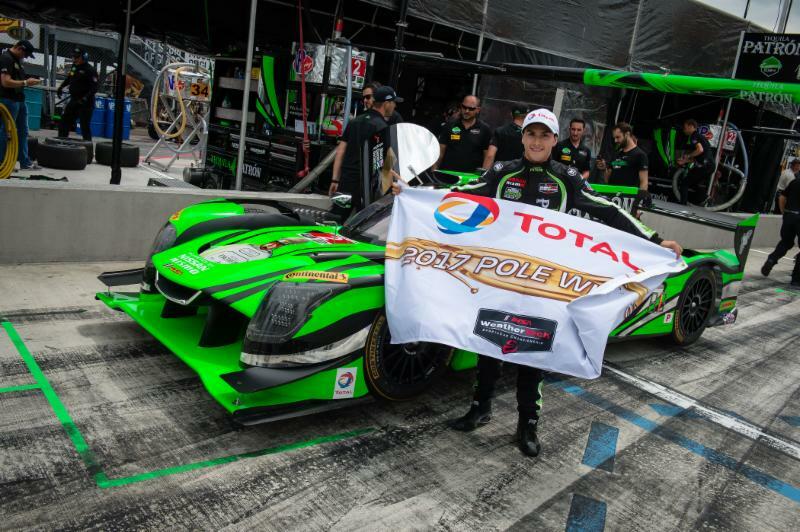 Last year's pole sitter, Johannes van Overbeek qualified the No. 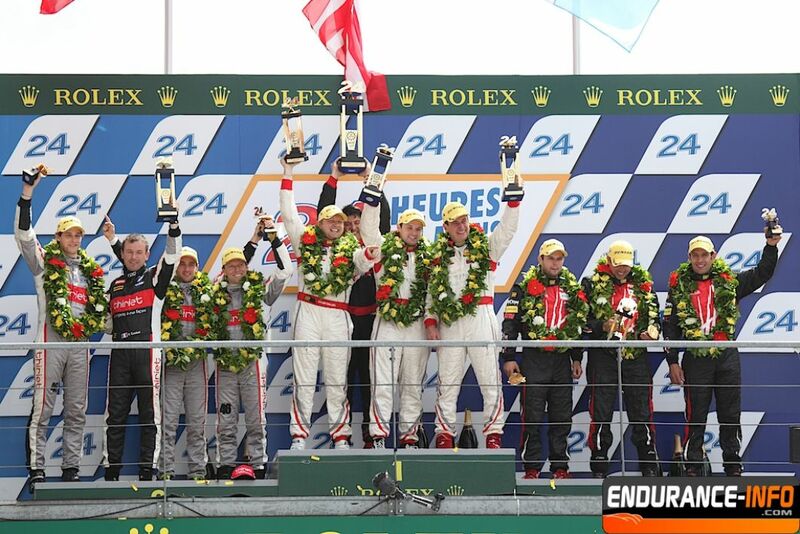 22 Nissan Onroak DPi in fifth position. Derani initially held provisional pole early in the session, but Olivier Pla showed competitive speeds, taking the position back. Derani pushed on, reclaiming the position. With one lap left, Derani again set a fast time, setting the fastest lap with a time of 1:34.405. In the No. 22, Johannes van Overbeek also showed the Nissan's competitive lap times, setting a fast time to sit in third position. As the car began to settle in to set a qualifying lap, the team noticed issues with the boost, forcing van Overbeek to make a quick pit stop. He rejoined the field, securing a fifth place starting position for Sunday's race. 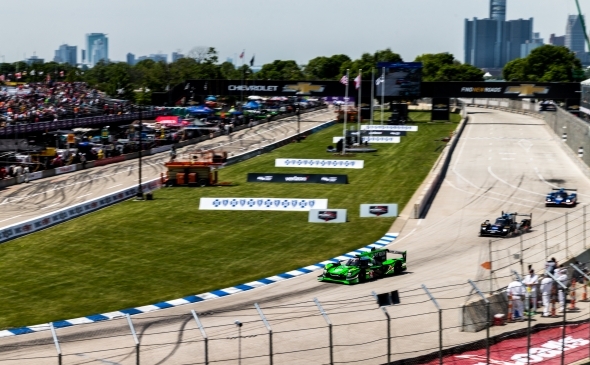 DETROIT, MI., — The streets of Detroit paid Tequila Patrón ESM no favors this weekend for round five of the IMSA WeatherTech SportsCar Championship. The bumpy 2.3 mile, 14 turn street circuit challenged the team all weekend, resulting in a best finish of seventh place for the team at the Chevrolet SportsCar Grand Prix. With two long practices, the team worked hard to master the street circuit, looking for a set up to best handle the rough course over the duration of the 100-minutes race. The duo of Nissan Onroak DPi cars looked strong in Prototype qualifying until a crash from the pole sitter canceled the reminder of the session. The field started by points, putting Scott Sharp and the No. 2 Nissan Onroak DPi to start fourth, and Ed Brown in the No. 22 to start sixth. AUSTIN, Tex., (May 6, 2017) – After showing encouraging progress over the course of the week at Circuit of the Americas, the Advance Auto Parts Sportscar Showdown ended in disappointment for Tequila Patrón ESM and their pair of Nissan Onroak DPis. The No. 22’s chance at a podium finish ended when contact from a lapped car forced the team to pit off strategy, and a late race fire ended the No. 2’s race with less than ten minutes to go. Johannes van Overbeek qualified the No. 22 in second place, locking in a strong starting position for Round 4 of the IMSA WeatherTech SportsCar Championship. Scott Sharp and the No. 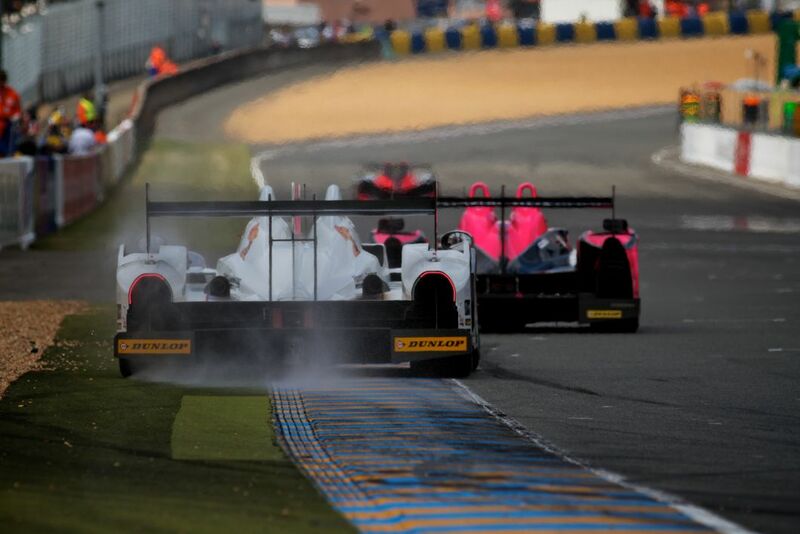 2 Nissan Onroak DPi started four places behind in third. 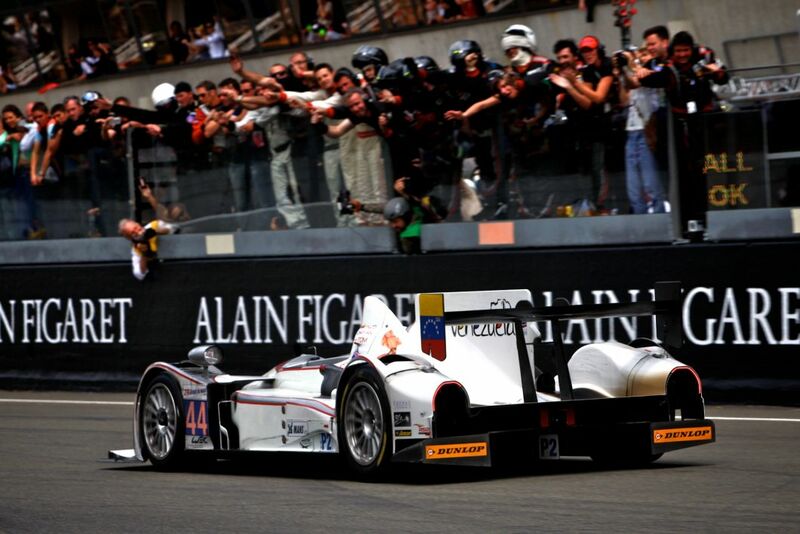 While the leaders quickly pulled away from the field, the Tequila Patrón ESM cars held strong to their positions. Thirty minutes in, van Overbeek had contact with a lapped car, sending him to the pits for a quick check and repair. He rejoined in eighth, but quickly took over seventh position, with Sharp just ahead in sixth. At the one hour mark, the race went full course caution, showing Sharp running in the top five. Ed Brown took over under caution for the No. 22, and proceeded to complete his required minimum drive time of ten minutes. He proceeded to give the wheel back to van Overbeek who rejoined in seventh. AUSTIN, Tex., (May 5, 2017) – Today at Circuit of the Americas, the No. 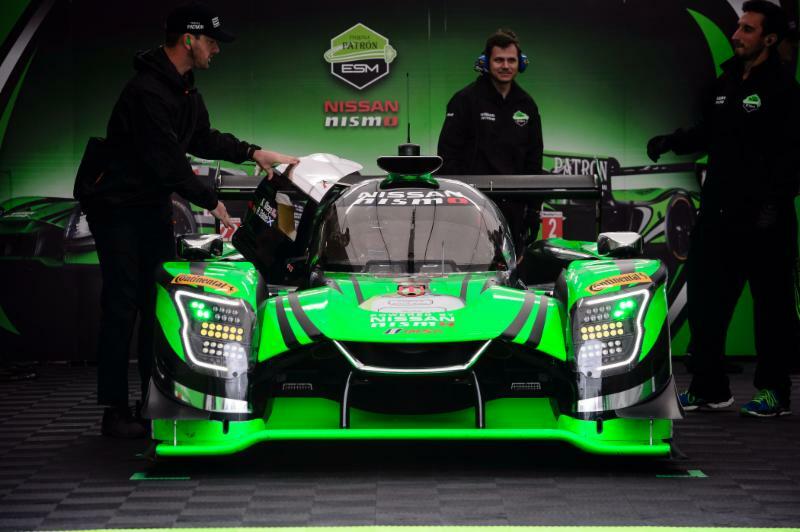 22 Tequila Patrón ESM Nissan Onroak DPi gave its strongest qualifying performance of the season, with drivers Ed Brown and Johannes van Overbeek. With a fast lap time of 1:56.401, van Overbeek qualified the car to start in second position in Saturday’s Advance Auto Parts Sportscar Showdown. Coincidently enough, the qualifying session landed on the same day as Cinco de Mayo, a day dear to the team as well as President and CEO of Patrón Spirits, Ed Brown. 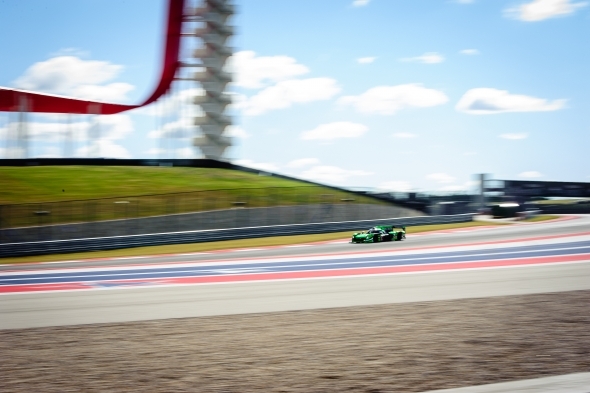 The team arrived at Circuit of the Americas chasing the setup of the Nissan Onroak DPi cars, but utilized the three practice sessions to find more speed. While still 1.6 seconds off of pole position, the No. 22 Nissan Onroak DPi’s fastest qualifying lap was enough to land in second in the highly competitive field. The sister car of Scott Sharp ran a predictive lap to take third, but lost the lap after being held up by traffic. The No. 2 Nissan Onroak DPi will start sixth. AUSTIN, TX. — Riding the momentum of a strong second place finish on the streets of Long Beach, California, Tequila Patrón ESM journeyed to Austin, Texas to test their Nissan Onroack DPis at Circuit of the Americas (COTA) to prepare for the next round in the IMSA WeatherTech SportsCar Championship. This weekend, COTA will be host to the Advance Auto Parts Sportscar Showdown, the fourth race in the 2017 IMSA Championship. The team tested for two days at the 3.4 mile course, determined to improve on the continued progress the new Nissian Onroak DPi program. Offering both high and low speed corners, two long straights, and an elevation change of 133 feet, the track can be challenging to find the right set up for. With the test complete, the team found a solid baseline for the No. 2 and No. 22 car setups heading into the sprint weekend. 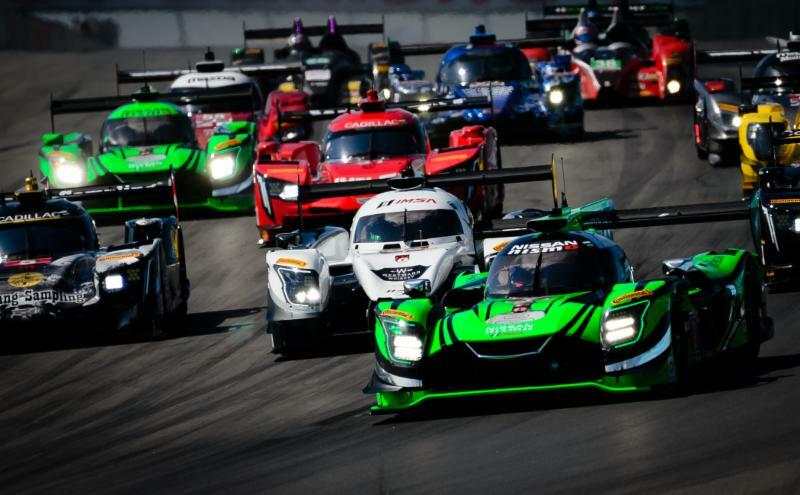 SEBRING, Florida, USA: The bumps of Sebring International Raceway are renowned for taking their toll on machinery at the 12 Hours of Sebring and sadly for the Nissan-powered ESM squad, that was what transpired last weekend. The team managed to get both cars home to the finish at the Rolex 24 at Daytona but struck issues at Sebring which eliminated both cars half way through the day. 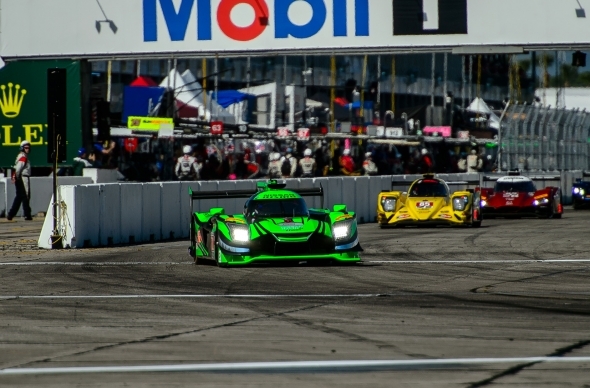 SEBRING, Fla., (March 18, 2016) – After a challenging race weekend, defending race winning team Tequila Patrón ESM has retired early from the Mobil 1 Twelve Hours of Sebring Presented by Fresh from Florida. Both the No. 2 and No. 22 Nissan Onroak DPi cars struggled throughout the race with mechanical issues, retiring just before the halfway point. As is the normal with new race programs, the team dealt with issues throughout the practice and qualifying sessions leading up to race day, Round 2 of the IMSA WeatherTech SportsCar Championship. Brendon Hartley qualified the No. 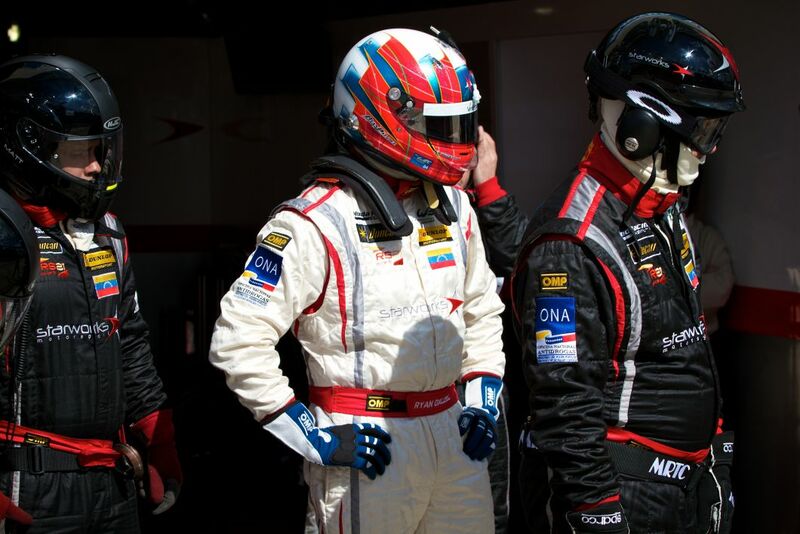 22 Nissan Onroak DPi in fifth position, while Pipo Derani and the No. 2 car suffered boost issues, resulting in the team unable to run and set a qualifying time. With both cars set up to run well at night in the cooler temperatures, the team felt confident both Nissan DPi cars would perform strong, should the demands of Sebring International Raceway not prove to be fatal.